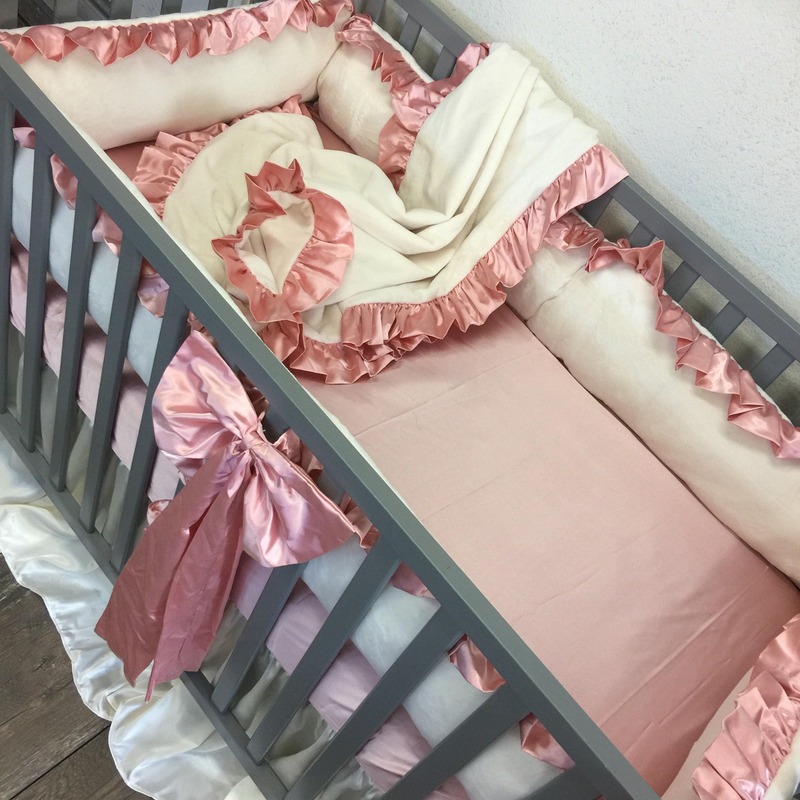 Ivory baby bedding. 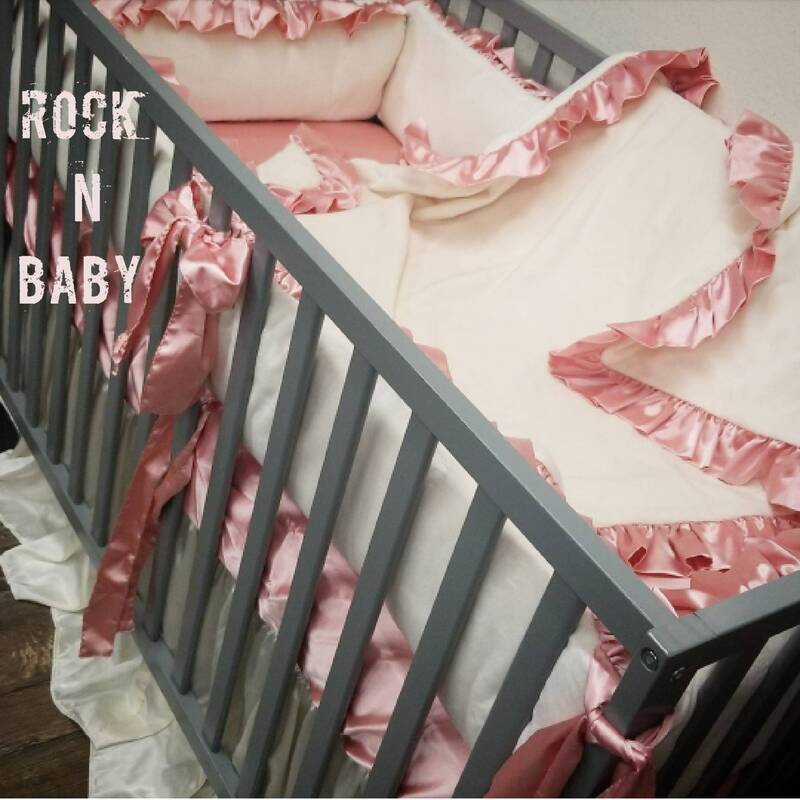 Baby bedding. Crib bedding. For this set shown, I used a ivory satin fabric for the main bumper on one side and ivory smooth minky on the other. 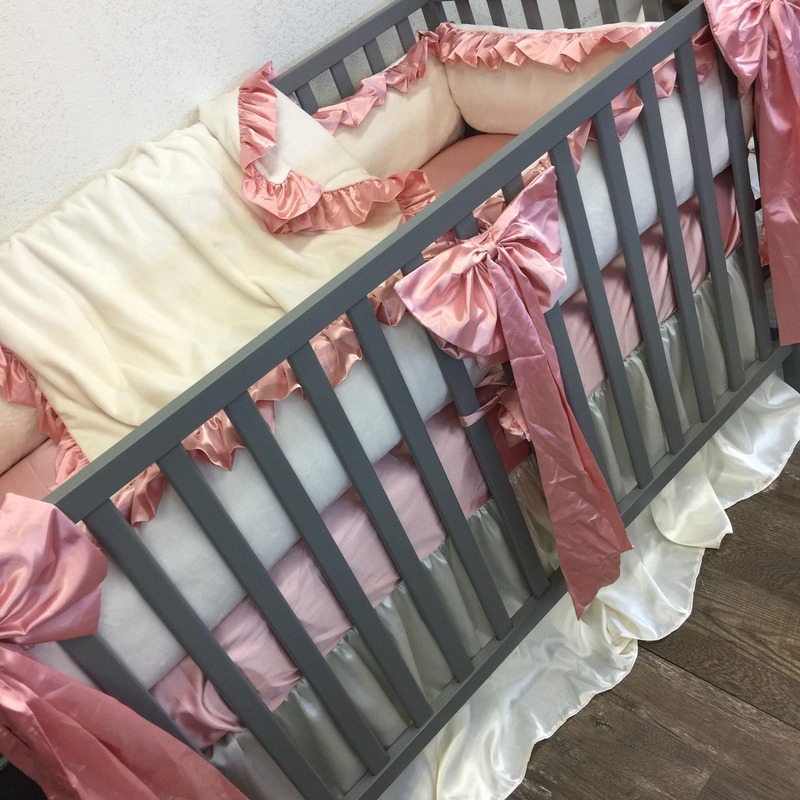 Dusty Rose smooth satin ruffles for the bumper & blanket ruffle and bumper ties, and the blanket has the Ivory smooth minky on both sides. 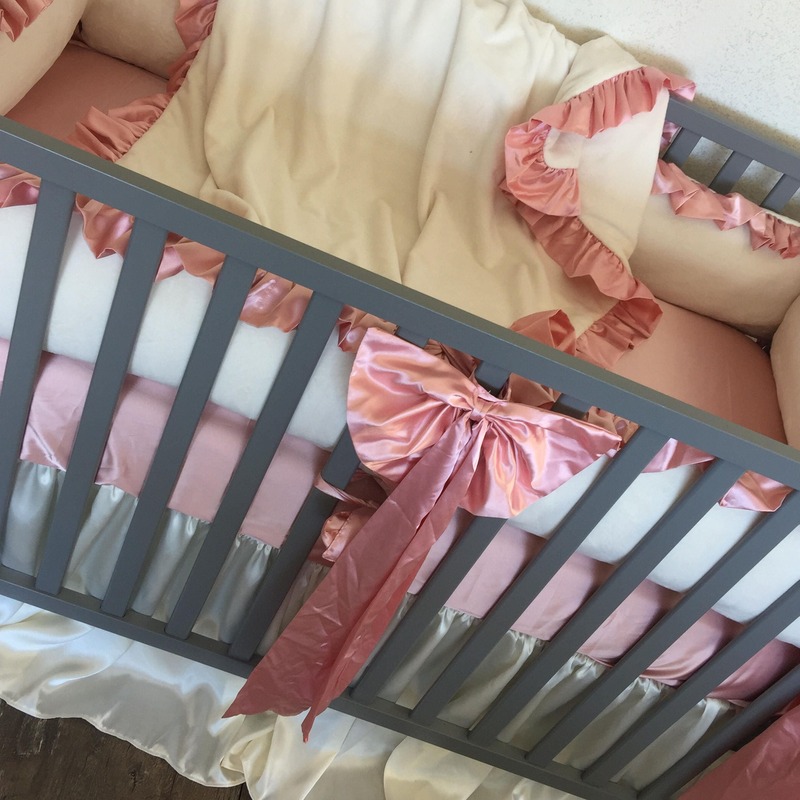 This set was upgraded to a baby pink minky dot sheet. The skirt is a long 22" skirt. 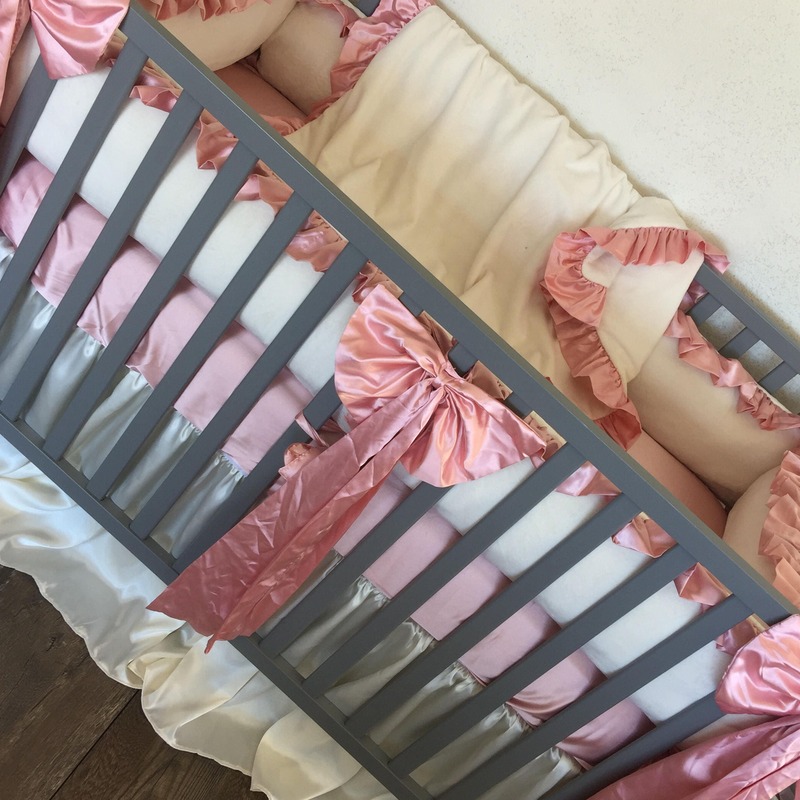 This set includes 3 jumbo accent bows that attach to the front crib rails by a velco strap. 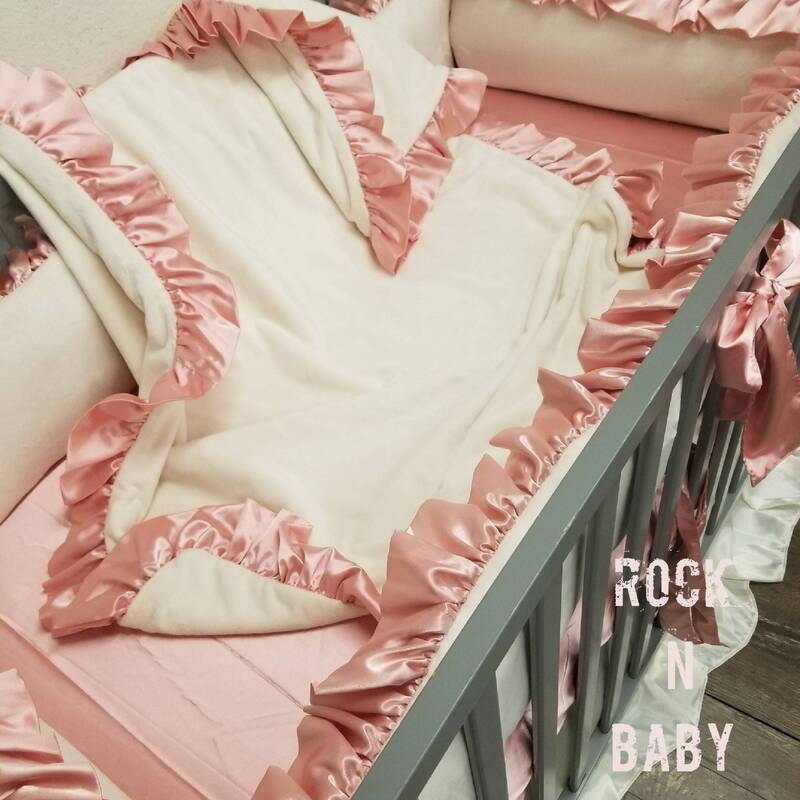 Crib Skirt - 22" long for this bedding. 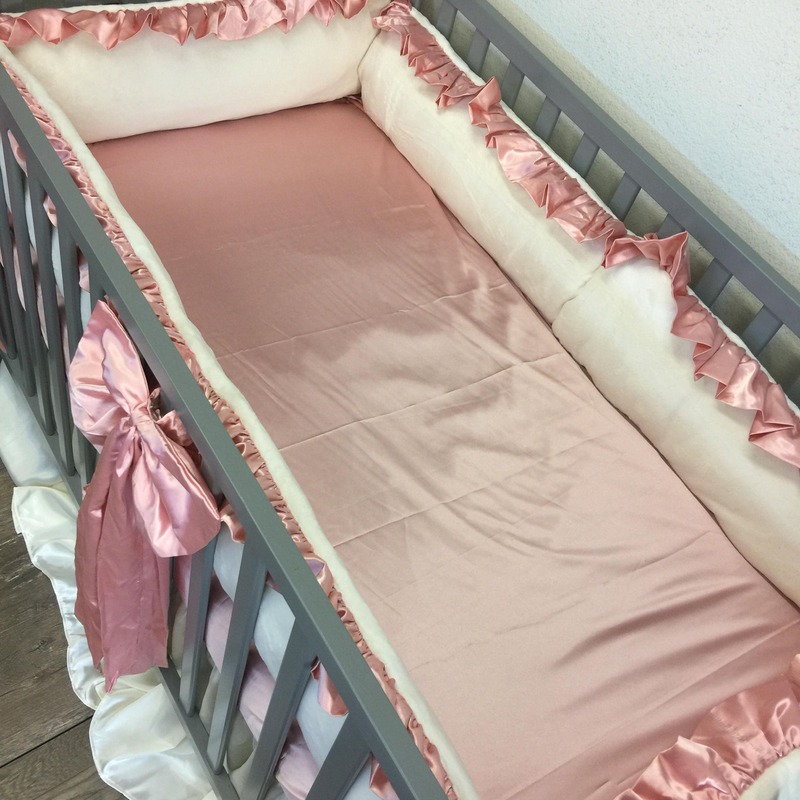 Cotton Crib Sheet (upgrade to minky for $16 more) shown here with a dusty rose satin sheet.